If you want to become a more organised person in life, make your bed immediately after you get up in the morning. Seriously, there is science behind this habit! In fact, if you also want to become healthier and a more well-read person, you can do what is known as ‘habit stacking’, by leaving a book along with your gym gear on top of your freshly made bed as a reminder for your fitness and reading habits in the evenings. 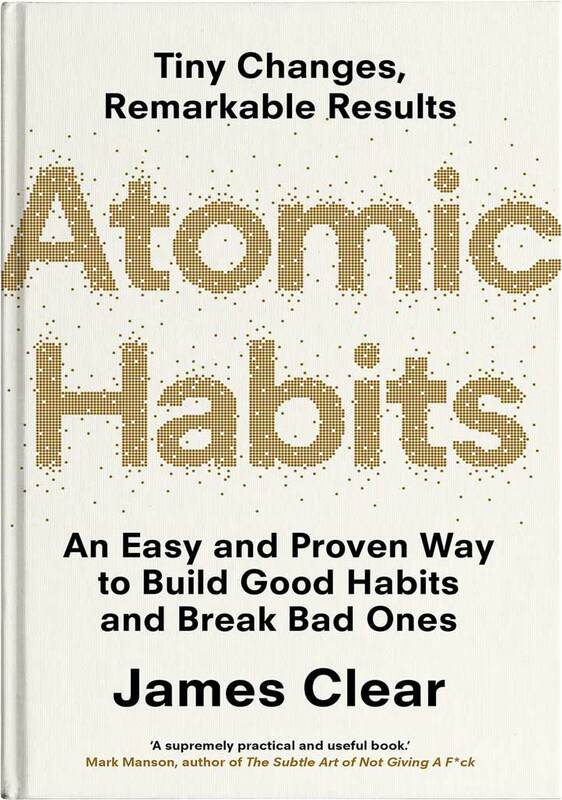 Habits, achieving goals and habit stacking is something author James Clear is extremely familiar and experienced with. Clear is the creator of the Habits Academy, author of the 2018 book Atomic Habits, a weightlifter and a travel photographer. I came across Clear through his newsletter which now has more than 440,000 subscribers (something I recommend you also do). People are loving his thoughts and cut through ideas on this crucial topic of getting your life in order. Since November 2012 and through his articles published on his website (jamesclear.com), Clear has been showcasing the habits and rituals of athletes, artists, and entrepreneurs, by incorporating some great inspirational and quirky stories, along with academic rigor as to why they are successful in achieving remarkable results. His articles are captivating and well written however, what I really love about Clear’s approach is that he regularly does personal experiments on himself and rigorously tracks if they worked to help him become a better person, entrepreneur, writer, artist and weightlifter. What Clear has distilled through his research and self-experimentations is that habits will make or break your success. This idea is the genesis of his 2018 book, Atomic Habits. What Clear has discovered and what he writes so passionately about in his book, is that what matters most is whether your habits are putting you on the right trajectory for the results you desire and it allows you to decode the system required for enduring success. Clear also importantly shares that habits without a system in place or small habits that have you on the wrong trajectory, will be a disaster for you in the long-term. We all know that a habit is a routine regularly performed and once established, becomes automatic – usually unconsciously. Atomic is defined as something extremely small (part of a larger system) but a source of immense energy or power. As such, Clear’s Atomic Habits approach is about focusing on the small habitual changes or the 1 percent improvements that are part of a larger system that will have transformational results. These compound interest habits at first will seem insignificant but will soon build on each other for growth as Atomic Habits are ‘both small and mighty’. 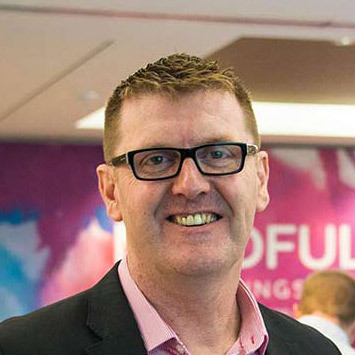 Clear’s ‘Four Laws of Behaviour Change’ makes up the bulk of his book and he goes into great detail about how you can go about using his four-step system approach for genuine life changing behavioural change by consciously designing great habits. Clear discovered that motivation and self-control are overrated! The best way to create great habits is with time and location cues and then manipulate your environment to make it work for you not against you. For example, when you want a snack at 10am, you have already placed freshly cut up fruit in direct eye sight in the fridge. All unhealthy treats need to be hidden or even better, not purchased in the first place! Clear demonstrates that for humans, ‘the more attractive an opportunity is, the more likely it is to become habit-forming’ and this forms a ‘dopamine-driven feedback loop’. This is why eating junk food is so quickly habit forming as the food industry creates irresistible food that gives us an immediate dopamine hit and makes us want to continually come back for more. Clear states that ‘human behaviour follows the Law of Least Effort’ and we will ‘gravitate toward the option that requires the least amount of work’ so creating good habits that stick is about making it easy. It’s not about discipline or motivation, it’s about creating an environment ‘where doing the right thing is as easy as possible’. Make it easy for yourself, not hard. The fourth and final law of behaviour change is to make it satisfying as it ‘increases the odds that a behaviour will be repeated next time’. If you want habits ‘to stick, you need to feel immediately successful—even if it’s in a small way’. Many people use the power of ‘habit tracking’ so they get the buzz of ticking off their completed task or habit each day. The above four stages that Clear outlines in his book are great, practical and gives the reader a fantastic system to transform their habits for a better life trajectory. As Clear states, “you do not rise to the level of your goals. You fall to the level of your systems.” However, I believe the real genius of Clear’s book is Chapter 2, where he discusses ‘How Habits Shape Your Identity’. In fact, in this chapter, I found Clear’s statement, “every action you take is a vote for the type of person you wish to become” to be quite profound and a powerful insight into our everyday habits. Clear argues that our ‘identity emerges out of our habits’ or more precisely, ‘your habits are how you embody your identity’ and that ‘true behaviour change is identity change’. So please go ahead and use his four-step approach – it’s a winning formula that is based on a great system and not dependant on daily motivation. More importantly, start off with being clear about the person you want to become because this forms part of your true identity. This book is a real game changer. I loved it and I highly recommended you read it and use it in your personal and professional lives. As Clear states, ‘a new identity requires new evidence’ so decide on the person you want to become and ‘prove it to yourself with small wins’ which in turn, will become your Atomic Habits.